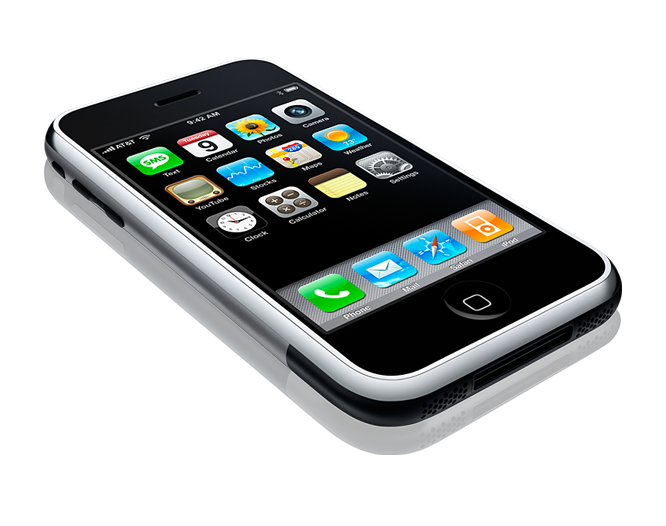 Apple's iPhone was released on June 29, 2007. I haven't been a "Mac person" since the early 90's, but I couldn't resist a device with such a cool new user interface. Besides, I always said I'd buy an iPod when they came out with a wide-screen model. 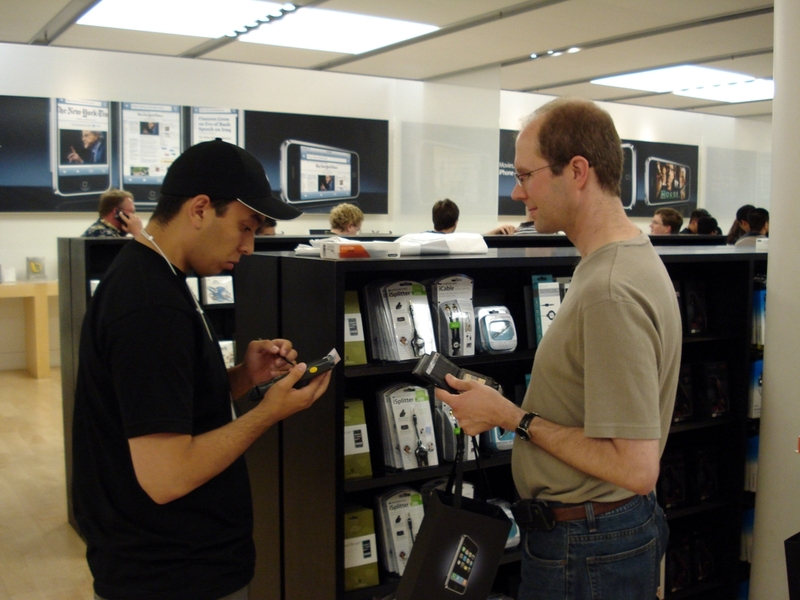 So I went to buy one at the Apple store at Valley Fair mall (where Apple co-founder Steve Wozniak was known to be the first in line, having arrived at 4:30 A.M.). Here I am, waiting in line. I think there were about 300 people in front of me, but that's just a guess. I arrived at 4:30 P.M. The store was scheduled to open at 6, and I had the phone by 7:30. So, just three hours in line! 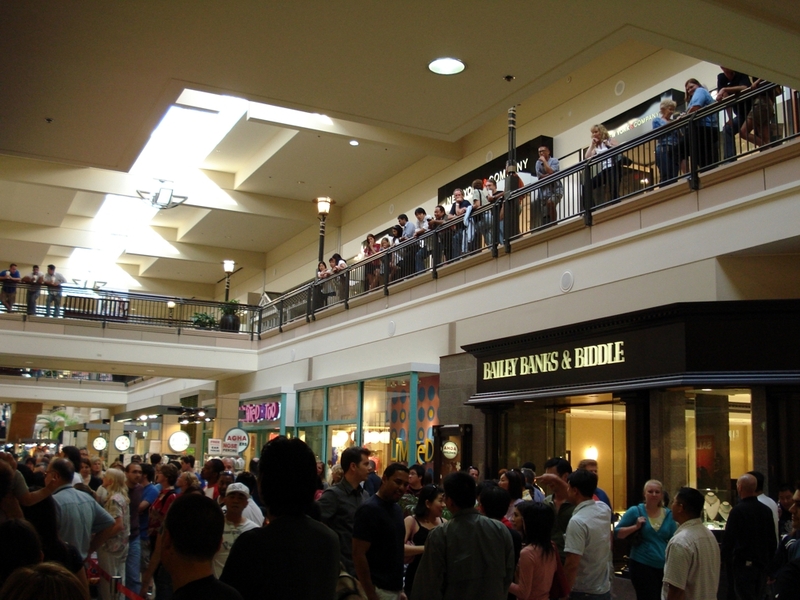 This is what the mall looked like shortly before I entered the store. 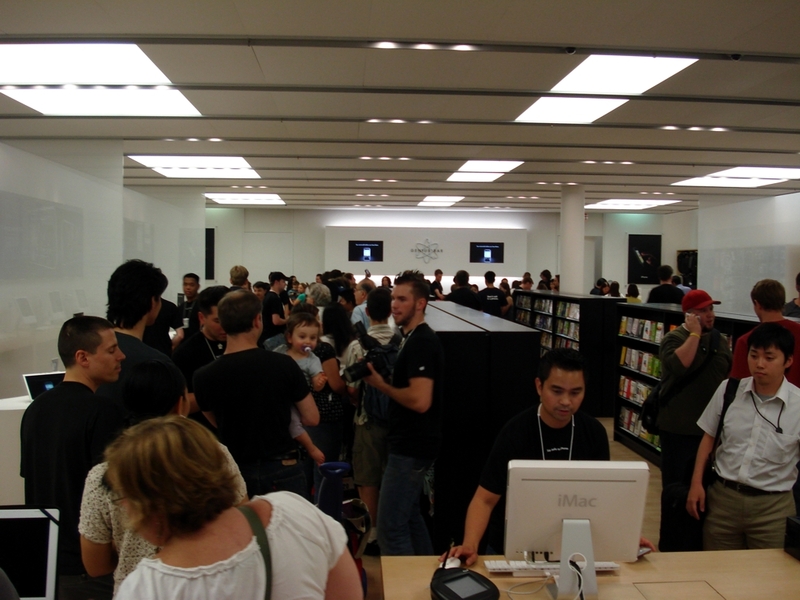 Most of the line was kept outdoors, then groups of twenty were allowed to enter the building and go into the store. The people on the 2nd floor are just watching the spectacle. 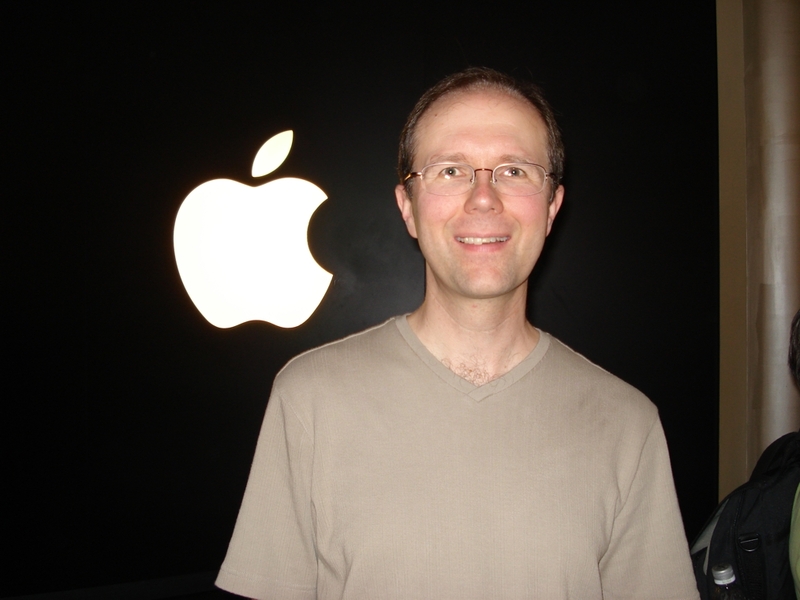 This is me just outside the Apple store, shortly before going in. 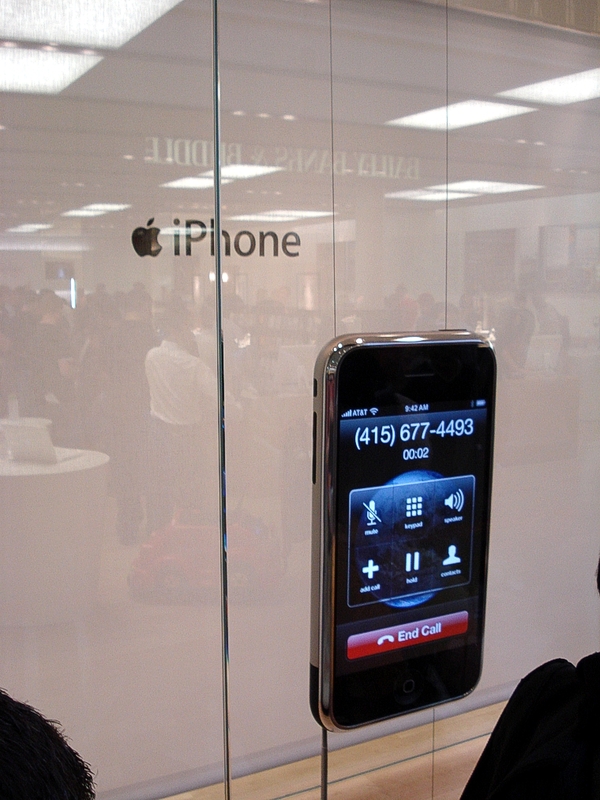 Here's a larger-than-life model of the iPhone in the store's front display window. Inside the store... 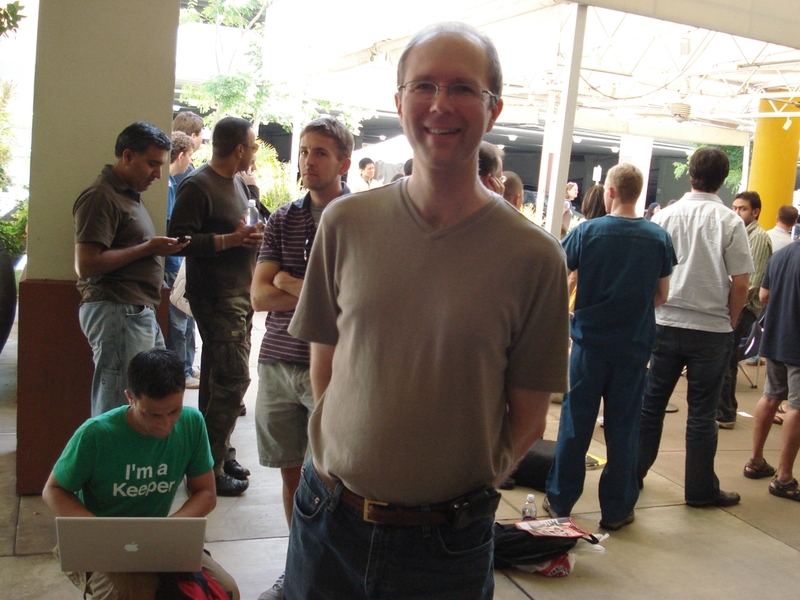 Despite the huge crowd, things ran very smoothly. And so far, I like it! Good job, Apple!